The APT Finale Philippines 2018 returns for its penultimate day at Resorts World Manila with the two-day MONSTER STACK PHP2 Million guaranteed. That event kicks off at 3pm. Buyin is PHP 27,500. 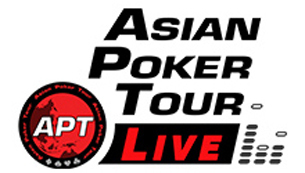 This is one of the most popular events of the tour and with the guarantee, it is expected to draw a healthy field. Also on the floor is the Final 8 round of the CHAMPIONSHIPS EVENT. A total of 71 runners came out with each one contributing the PHP 165,000 entry. This created a pot just past the guarantee to PHP 10,330,500. Yesterday saw four players earn a piece of it. Today will see the Final 8 hunting down the title and the PHP 2,872,800 first prize. We will have LIVE UPDATES running throughout. Action resumes with blinds at 3K/6K ante 6K. There’s 14 minutes and 42 seconds left in this level. Average stack is 443,750 with 3,550,000 total chips in play. Cards in the air at 130pm.